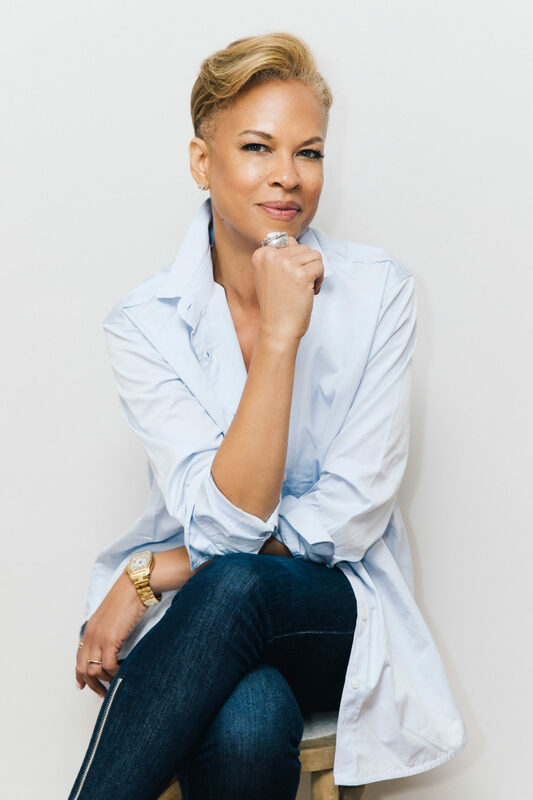 Tonya Lewis Lee created Movita to help women gain a baseline of good nutrition, and a practice of positive choices that support a lifestyle of well-being. Tonya’s professional journey into health and wellness started in 2007 when she began serving as the National Spokesperson for the “A Healthy Baby Begins with You” campaign initiated by the U.S. Department of Health and Human Services Office of Minority Health. It was through this work as a women’s health advocate that her own health journey took form, ultimately embarking on a lifestyle of wellness. This personal health journey coupled with her entrepreneurial spirit led Tonya to create Movita for women. The author of Please Baby Please, Please Puppy Please, Gotham Diaries, the producer of The Watsons Go to Birmingham, Monster, She’s Gotta Have It, the mother of two adult children and the wife of a busy husband, Tonya knows first hand that balancing one’s own self-care with the demands of life is complicated. For Tonya, Movita is a platform to continue the conversation about finding balance and to offer a tool to help women as they work through this process. Health is a journey, not a destination. For Tonya, Movita is support through this journey – hers and yours. Everyone’s paths, goals, and bodies are unique. That’s why we’ve created a formula that meets the nutritional needs for any woman’s body. We’ve made our vitamins gluten-free, dairy-free, egg-free, meat-free, and allergen-free from shellfish and nuts so everyone can take them. We’ve created a proprietary fermentation process so that our vitamins have greater absorption rates and are easier to digest. And, we’ve made our production transparent: ICS-certified organic, non-GMO whole foods made entirely in the United States. Whatever you’re coming from, we’re here to help you get to your next level. Quite simply, we’re for everybody. 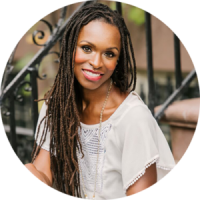 Latham Thomas, aka Glow Maven is a celebrity wellness/lifestyle maven and birth doula- transforming not only how women give birth to their babies, but how they give rise to the best version of themselves. Named one of Oprah Winfrey’s Super Soul 100 – a enlightened group of leaders elevating humanity with their work- Latham is helping women embrace optimal wellness and spiritual growth as a pathway to owning their power. She is the founder of Mama Glow, a lifestyle brand offering inspiration, education, and holistic services for expectant and new mamas. A graduate of Columbia University and The Institute for Integrative Nutrition, Latham serves on the TUFTS University Nutrition Council. Latham authored “Mama Glow: A Hip Guide to Your Fabulous Abundant Pregnancy,” a go-to wellness guide for expecting mothers endorsed by Dr. Christiane Northrup, Dr Mark Hyman, Tonya Lewis Lee, Christy Turlington Burns & more. Judy Porter grew up in New Philadelphia, Ohio and currently resides in the greater Indianapolis area. Judy received a Bachelor of Science degree in Dietetics from the University of Akron in Ohio and has worked as a Registered Dietitian for over 17 years. Judy has extensive experience in the field of nutrition with particular emphasis on disease prevention, weight management and sports nutrition. Judy worked as an Administrative Dietitian and an Outpatient Dietitian for Indiana Health (Clarian Health at the time) for over 10 years. While her children were very young she consulted in a variety of settings and taught Sport Nutrition.